More than 31,000 Square Feet of Total Amenity Space. A Park in the Sky. Settings that Inspire Unique Experiences. 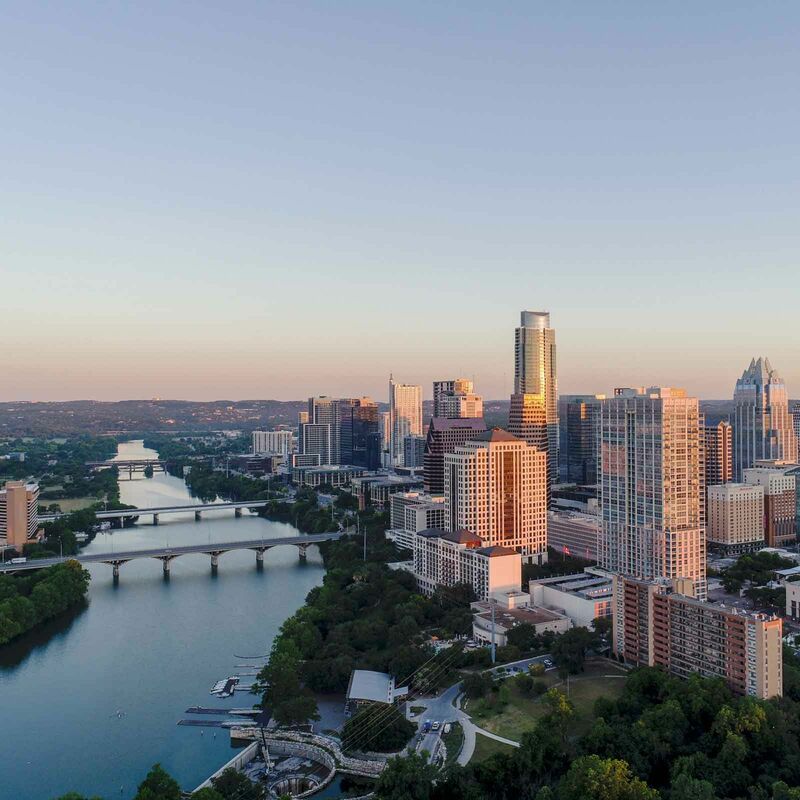 Inspired by the character of its surroundings, 70 Rainey’s luxuriant landscaping will be a study in architectural ecology, reflecting the shady, tree-lined streets of the venerable Rainey Street district. 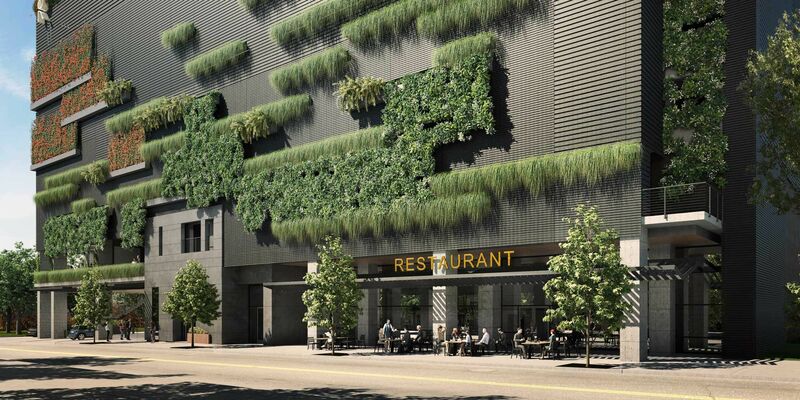 The exterior wall of the garage podium will be artfully infused with dense vegetation and elegantly draped vines, forming a living wall that will warm the building and soften its edges. 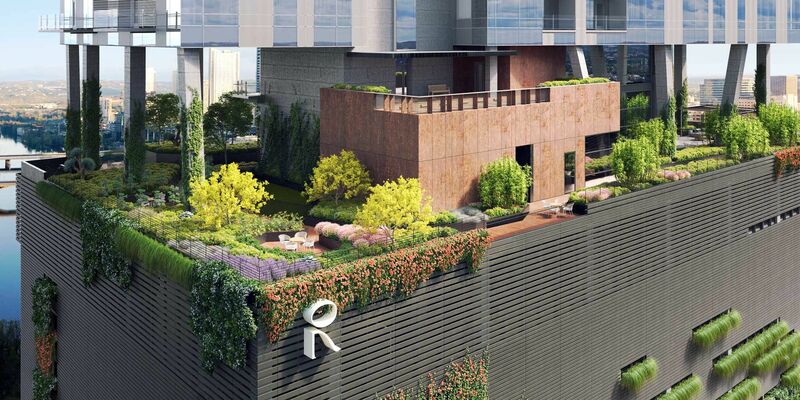 One hundred feet above ground, atop the podium, 70 Rainey’s 21,000 square-foot amenity deck will inspire and surprise. Lavishly planted with native trees and flowering plants, it will be your personal refuge—a place to relax, unwind, and recharge. Meandering walkways will give way to unexpected spaces—garden alcoves, private nooks, and secluded seating areas that invite you to linger. 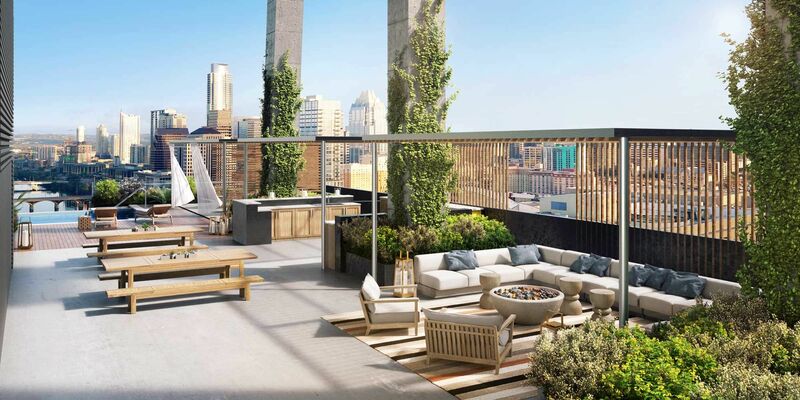 Garden-like and immersive, the ecological architecture of the amenity deck will incorporate real landscaping, not potted plants, with endless experiences curated into the space. 70 Rainey's expansive landscaped 10th floor amenity deck is an elevated oasis featuring over 50 plant species, thoughtfully intertwined with the deck's outdoor lounge and gas fire pits, grill-equipped kitchen, pool-side cabanas, outdoor gaming lawn, spacious herb garden, fenced dog park, garden-wrapped bistro seating, meandering walking path, and secluded plunge pool. 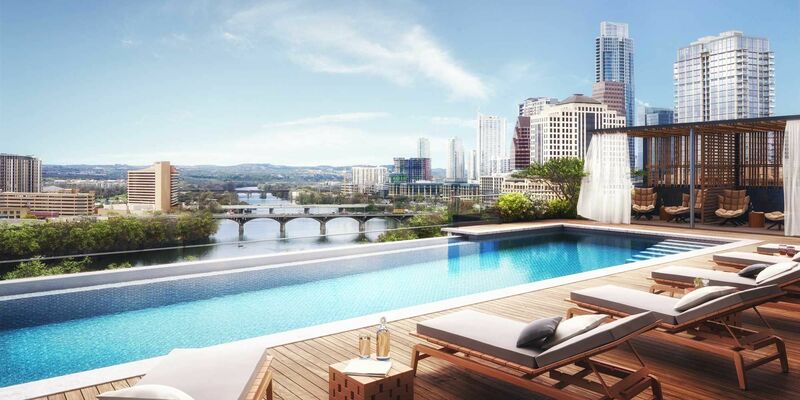 On the Northwestern corner of the 10th floor amenity deck sits the 72 foot-long infinity edge pool with unobstructed views of Lady Bird Lake and the downtown Austin skyline. This chlorinated, 4.5' foot-deep pool will be temperature controlled to accommodate year-round use. The double height interior lounge of the 10th floor amenity deck provides expansive views to both the East and West, and features lounge/library seating, dedicated catering kitchen, dining room, and private theater room to meet the entertainment needs of 70 Rainey residents. The 2,200 square-foot gym features unparalleled views to the East and West from the eleventh floor, with state-of-the-art equipment and free-weight stations to accommodate residents of all fitness levels. Adjacent men and women locker rooms are equipped with a steam shower and dry-heat sauna. 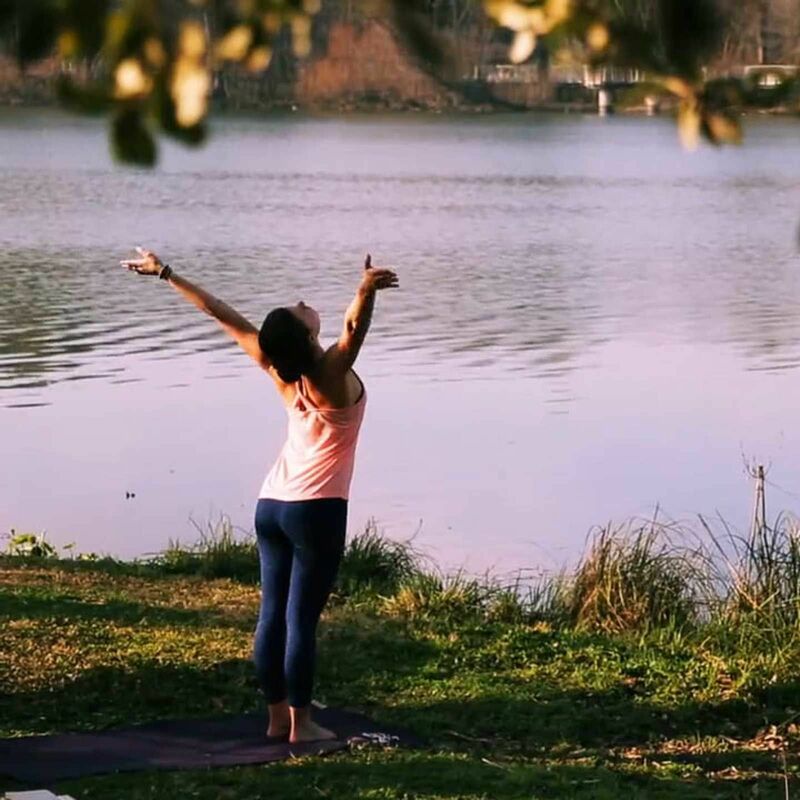 Exterior amenities on level 11 include a western-facing balcony and eastern facing yoga terrace - perfect for morning Sun Salutations. 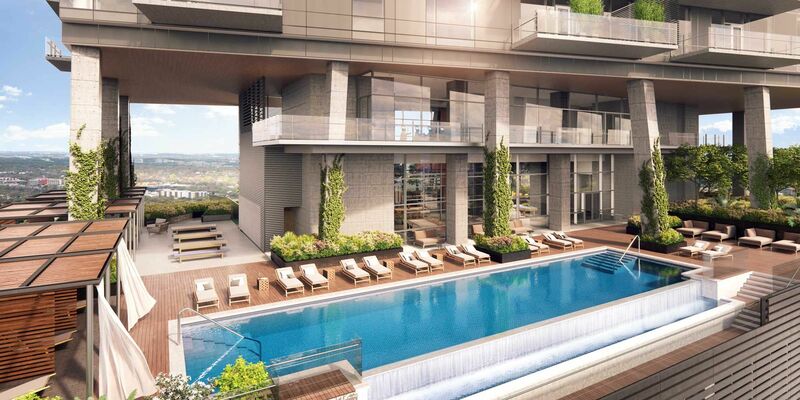 Each residence comes with preassigned, reserved parking, secured by a remote-access residential gate within the garage.